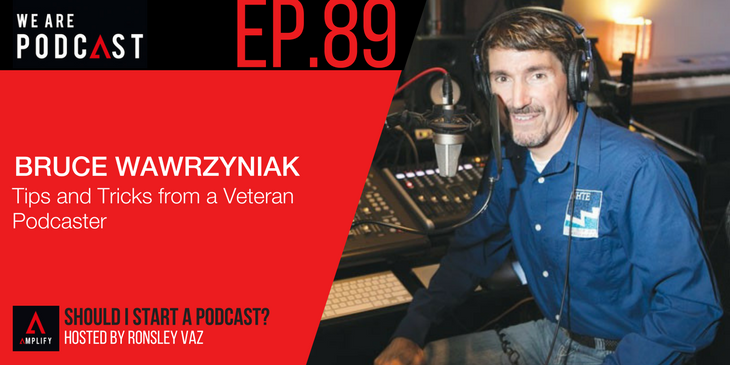 If you want to hear tips and advice from the Godfather of podcasting himself, Mr Bruce Wawrzyniak, then now is your chance. Bruce is the founder of Now Hear This, a Tampa-based communications agency and my latest guest on Should I Start A Podcast, and he and I have a truly insightful conversation full of useful information for any newcomers to podcasting. Bruce is an author, broadcaster and speaker and his podcast, Now Hear This Entertainment, acts as an educational service for up and coming entertainers who may need a bit of help, advice and guidance. Bruce’s podcast has been heard in over 100 countries and his guests are those that have had success to varying degrees in the entertainment business, putting forth their advice and tips to those who are just starting out in the industry. In this episode, we discuss the journey that led him to podcasting.